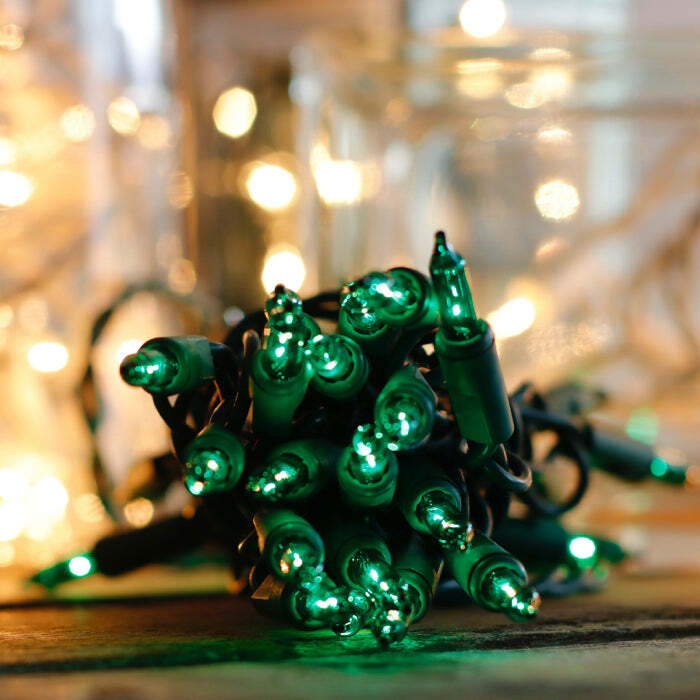 These festive, green mini lights are ideal for many applications during the holidays, as well as throughout the year. Our customers use these to highlight both crafts and decor in their homes. Each string of these craft lights is equipped with 10 lenses, with just over 2 feet of lit length. We love the 3 foot lead line attached to the male plug, that makes an extension cord unnecessary in most cases. Many crafters enjoy lighting up empty wine bottles or glass blocks. These incandescent lights do have a heat output, so take care when using them on special or antique surfaces.